With approximately 75 million individuals ages 12-29 living in the U.S. today, Gen Y is believed to be the largest generational cohort since the baby boomers. And digital media is "trouncing" traditional channels in the battle for affluent Gen Y consumers, according to a new study by L2, which examined the media consumption habits of well-heeled millennials, defined as anyone born between 1980-2000). The L2 study was based on an international survey panel of 535 young adults who expect to be earning more than $80,000 per year in the near future. Of key interest to advertisers and marketers, it delved into the implications for luxury marketers looking to connect with prestige-oriented members of this rising generation. Facebook is a dominant presence in the Gen Y media mix, with 81% of affluent millennial consumers using it every day; that's about twice the proportion who read newspaper content (45%) or watch TV shows (44%) every day. Some 25% said they use mobile devices to access social media, while a solid majority gave social media an important role in their consumer decisions. Sixty-three percent use social media to engage with brands, and over half said their attitudes toward brands were shaped by Facebook, blogs and online video produced by brands. Companies take note: 45% said they read blogs every day. Indeed, online video is making impressive strides among the Gen Y affluent audience: 42% of the sample group said they watch TV shows online, while 27% watch movies online. It's no surprise that mobile is playing an increasingly important role, with 13% saying they had watched video on a mobile device in the past 24 hours. When Gen Y affluents do consume traditional media content, it tends to be via digital channels. For example, 66% of respondents said they read newspaper content online. However, there is considerable variation between media: 71% of respondents said they still read print magazines, compared to just 24% who read magazine content online. This Nielsen report answers the question "What are people in the US doing, eating, watching and consuming? 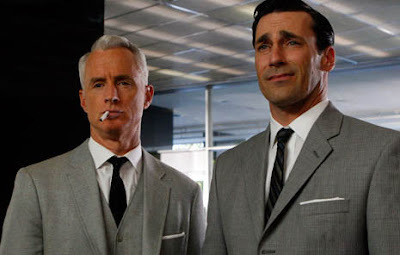 The Nielsen Company released a list of the most popular media and consumer spending trends in the U.S. for 2010, covering everything from the most popular television shows, to the most liked commercials, purchasing trends, top mobile apps and more. The Nielsen Wire reports a shift in how and what food we consume in the US as a result of the economic conditions. This articles provides facts and some interesting trends. While eating a significant volume of food over the Thanksgiving holiday it became obvious how novel it is to eat and converse with real people across a real table rather than tweet, blog, poke and IM. At our Thanksgiving dinner there was a break from electronic media replaced by group interaction and face-to-face discussions. The new social is very different from the social that existed before social media. Happy Thanksgiving to all my friends, clients, coworkers and website developer and thanks to everyone who made this year great. This cartoon, which is not signed but looks like Gary Larson's work, somehow finds its way to my inbox every year. Because it always gives me a smile I am sharing it with you. In many ways it reminds me of advertising. Consumers are out there saying moo . . . who they are, what they want, what they will do. Then, advertisers armed with research learn, more often than reported, that what consumers say is not what they believe or do. 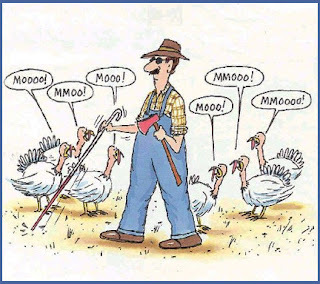 Often it's a case of turkeys crying moo to blind farmers. Now it's official, social media has achieved major brand and granny acceptance with huge numbers of boomers flocking to it everyday. The youth who invented it need somewhere else to play, they don't want to and shouldn't play in the same sandbox as IBM, moms and gramps. It's time for boomers to turn it into a fat cow and the youth to create the next big shift. After all FaceBook and Twitter have been around for a long time. Now is the time for 'young guns' to create anarchy from which a new social order will emerge. The great social media revolution is coming and the youth are stirring a revolt of the social masses with their own social media manifesto. Is there a social war on the horizon? Power to the social masses! 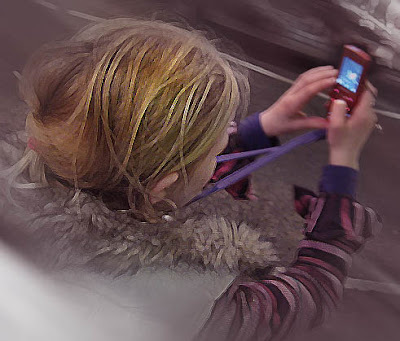 The Future of Mobile is Augme? Augme is a mobile marketing company on steroids. I am excited about their approach to mobile marketing and their data rich back-end solutions as well as their strategic alliances with shopper marketers, coupon media and retailers. Several weeks ago I went to a breakfast hosted by the Atlanta Press Club where I met Paco Underhill. 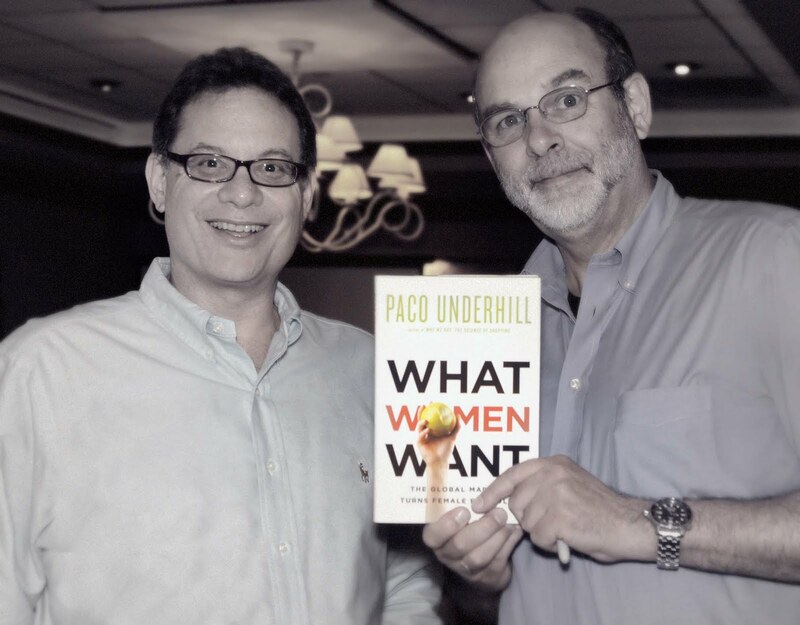 Paco wrote some marketing classics like Why We Buy and What Women Want. He is a researcher who takes shopper insights, trends, psychology and environmental factors to develop new ways to interact with consumers. Paco's new book (which took me far to long to read because of far too many distractions) is focused on modern women and how their needs have changed our retail and home environments. It describes how products have changed, how stores have evolved and how expectations have been reinvented. Women's lives have changed and so has the world to accommodate them. I discussed with Paco the influence aging baby boomers will have on the retail environment, the home, new products, travel and health care. I can hear that next big next wave of innovation coming to deal with boomer needs. Today I attended a panel discussion about social media innovations featuring John Beisner, EVP, Client Services, Twitpay - Social Giving, Dorothéa Bozicolona-Volpe on behalf of Adam Steinberg of PlacePunch, Caleb Clark, CEO Mobilization Labs Wildfie Platform, Yvett Evans, Business Development - ViTrue, Scott Lockhart, Co-Founder - Regator, David Rollo, SVP/Director of Digital Strategy - 22 Squared (Blinq Media, Looxii and a little bit of Vitrue) and Aaron Strout, Chief Marketing Officer -Powered, Inc.
Dorothéa did a great job moderating and entertaining the attendees. After listening to this group of innovators discuss their products and their vision for 2011 and beyond I felt uneasy. Perhaps because they didn't talk about the integration of social media into mainstream media and how it will work seamlessly together to achieve strategic goals in measureable ways with real ROI. Joseph Jaffe spoke about the most important link in the customer relationship chain, customer service, at the beautiful Newell-Rubbermaid Headquarters. He presented an overview of his book Flip the Funnel - How to Use Existing Customers to Gain New Ones. It is more clear than ever for me that marketers don't know what to do to deal with the new reality, the new consumerism and how media is consumed and are responding by standing on the sidelines waiting for the right time to get to work. I believe now is the time to get started. However, what made companies successful in the past is no longer appropriate and new anarchistic thinking and strategies are required . . . the type of thinking we do at Schendo361. Tomorrow I will be attending TEDx Peachtree. Kit Digital will stream the conference live! watch the talks at http://bit.ly/9eBX5y 10AM on Friday November 5, 2010. The purpose of this website is to introduce you to our 361° degree view of business, marketing and the world. 361° refers to how we think, how we ideate and innovate. How we look at opportunities from all angles and then go the extra distance. At Schendo361 we use this thinking to solve marketing challenges and create new opportunities using innovative strategies and creativity with a focus on ROI. Many thanks to Morgana Nagorski who created this site.